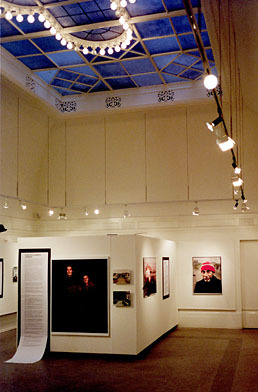 Galleri Kontrast is an independent gallery in Sweden devoted to documentary photography. It was founded in 1996 and is situated at Hornsgatan 8 in Stockholm, Sweden. The building was originally a bank in the beginning of the last century and is now a wonderful exhibition hall. The old bank vault downstairs is housing a smaller exhibition hall and the bookstore is in the room facing the street. Galleri Kontrast has developed a reputation as one of Swedens primary venue for documentary photography. The gallery annually shows about 15 exhibitions and always The Swedish picture of the year and work from Nordens Fotoskola. A large number of our former exhibitions are available for short or long time rental. Contact mia@gallerikontrast.se for further information. The Gallery receives funding from the daily papers Aftonbladet, Dagens Nyheter, Expressen, Svenska Dagbladet, and Dagens Industri, from Nikon and from Sven Hagströmer. The Press Photographers Club (PFK) owns the gallery and the curator is Mia Klintewall. Please do not hesitate to contact Mia for more information. Works are regularly shown at the gallery in the smaller exhibition space. A wide selection of the images can also be found here on our web.